Siri just can't seem to say her last name correctly, so Babs asked Tim Cook to fix it—and then leaked the alleged date when it'll be done. 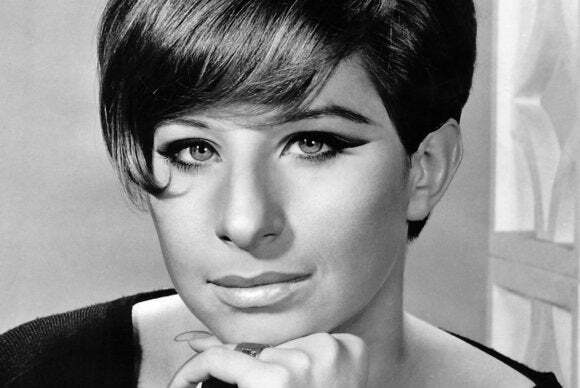 Barbra Streisand has already given us so much. Some of the best chick flicks of all time, like The Prince of Tides and oh my God, The Way We Were. The term “Streisand effect.” Fifty studio albums. A fun new way to spell Barbara. And now she’s getting Apple to fix Siri. Well, a small part of Siri anyway. And she’s even told us when it’s supposedly happening: in an iOS update allegedly coming September 30. When Siri gets your name wrong. While you can teach Siri to correctly pronounce the names of people in your contacts list, the amazing Ms. Streisand doesn’t expect all of us to add her name to our digital Rolodexes, although to be honest you could do worse. Instead, Barbra went straight to the top. She appealed directly to Tim Cook. I mean, it’s been bugging her for years, that every time someone talks to Siri about Barbra Streisand and her incredible career, that conversation is just a little less illuminating than it should be, since people are left with the idea that maybe the second S in her surname has a little more Z sound to it than it actually should. It’s frustrating! Tim Cook, gentleman that he is, agreed this should be fixed. And then our bestie Babs, duly excited as I’m sure we all would be, went on NPR (as you do), and spilled the happy beans. In an interview on Weekend Edition Saturday, she told Scott Simon that Apple would have an update for this pressing issue on September 30. Wait, the last day of September? That would be a little unorthodox, since Apple usually releases a major version of iOS earlier in September, just before shipping the new iPhones. (That way, the new iPhones ship with the newest iOS.) Apple might have told Barbra that the update would be out by the end of September, or maybe the Siri Streisand fix doesn’t go into effect with iOS 10, but rather a 10.0.1 update that will come along later in the month. Either way, I’m stoked. People, people who use Siri, are the luckiest people in the world.